Ribbon Cutting at Area Floors new Wilsonville location! 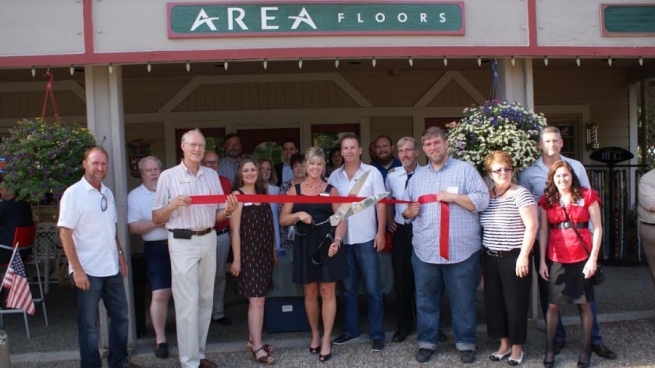 Area Floors celebrates its third location with its official ribbon cutting on July 8th. In attendance was Mayor Tim Knapp, of Wilsonville OR. as well as city officials. Residence of Wilsonville, Charbonneau, Tualatin and Canby came to see the new location and support our locally owned flooring store. Music at the wilsonville grand openingArea Floors Ribbon Cutting at Charbonneau Wilsonville OR ShowroomBrandy and handyman BobWhether you need a price quote on flooring or just some advice, give us a call were here to help! Our design consultants are specialists in all floor coverings including hardwoods, carpeting, tile, LVT and Countertop Solutions. If you would like to contact us via email please fill out the form below. We have 3 locations for your convenience, Portland, Tigard Oregon and Wilsonville Oregon.